The High School and Center School service students on opposite ends of the age spectrum. However, they do share the same wastewater discharge line. There is a pump station behind Brookfield High School that transports water discharges through town owned properties up to the Center School area. 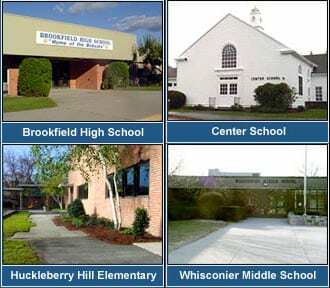 The school and other properties that opt to be on the system can connect in the Brookfield Center area. Recently the Saint Joseph School and Congregational Church has done so, for example. 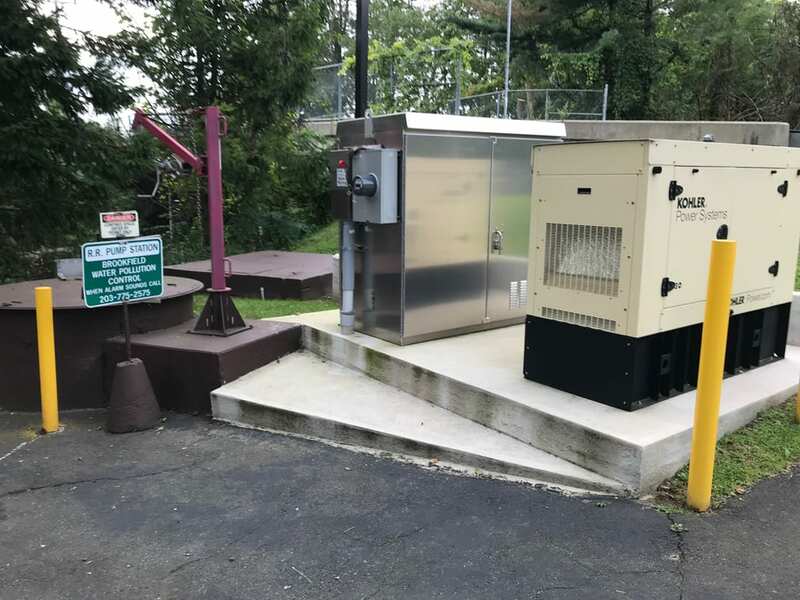 There is a boost pump station on Silvermine Road to transport wastewater from the Center School area across Pocono Road South, then westerly down Route 133 to the Route 133 Pump Station. Other schools serviced by system include Huckleberry Hill. Surprisingly the Town Hall and Police Station on Pocono Road are not hooked in. Whisconier School had a failing septic system by the smell test. That school campus became eligible to be serviced by the new Three Condo District system in 2009. This connection was completed by the Board of Education August 2013.